Preparing the perfect toast is now so easy. Prestige bring you powerful Pop-Up toasters with wide slots and safe removal of perfect toast. Easy and convenient toast lever and self-adjusting guides to ensure even toasting and easily removable slide-out crumb trays for perfect cleaning. Preparing the perfect toast is now so easy. 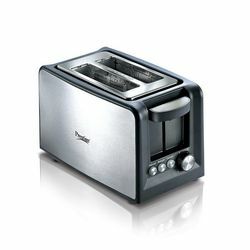 Prestige bring you powerful Pop-Up toasters with wide slots and safe removal of perfect toast. Easy and convenient toast lever and self-adjusting guides to ensure even toasting and easily removable slide-out crumb trays for perfect cleaning.